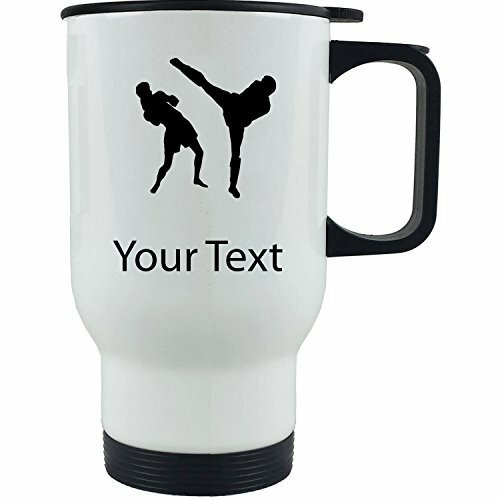 This custom 14 oz stainless steel travel coffee mug features a high-quality finish with a C-handle for easy holding. The inner and outer stainless steel provides additional safety over plastic materials. Easy to Customize - ADD YOUR NAME: Date, Your Initials, Pets Name, Kids name or anything else you can think of! Made of 100% stainless steel material. DISHWASHER SAFE - The design will not fade or lose color over time - Do not use in the Microwave. This stainless steel traveling coffee travel mug is included with personalization. Add your name, your pets name, your kids name or anything else you can think of!